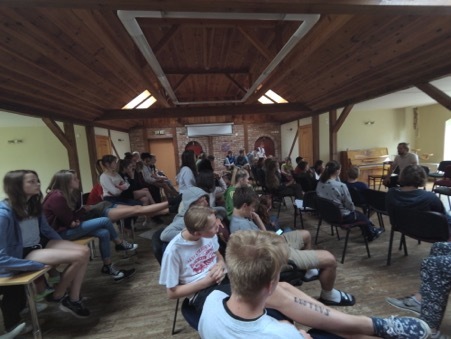 Workshop was aimed at focusing on the ideas how to use the methods they were introduced to in previous workshop for the involvement of local youngsters to get involved into common activities with youngsters from other regions and backgrounds. Kids were enthusiastic and shared their own insights from practical experience, living similar situation of being refugee kids in foreign countries. How is it to integrate, and keep the traditions of the parents and grandparents for whom it is the most important according to participant’s point of view.